Gure Gorputza Ez Dago Salgai! Our Body Is Not For Sale! Free Abortion! This sticker in black and white depicts the figure of a woman holding a sign advocating for the right to abortion. On the top of the sign there is a picture of a uterus with a price tag attached to it. This tag symbolizes the message that these women do not want to be bought. 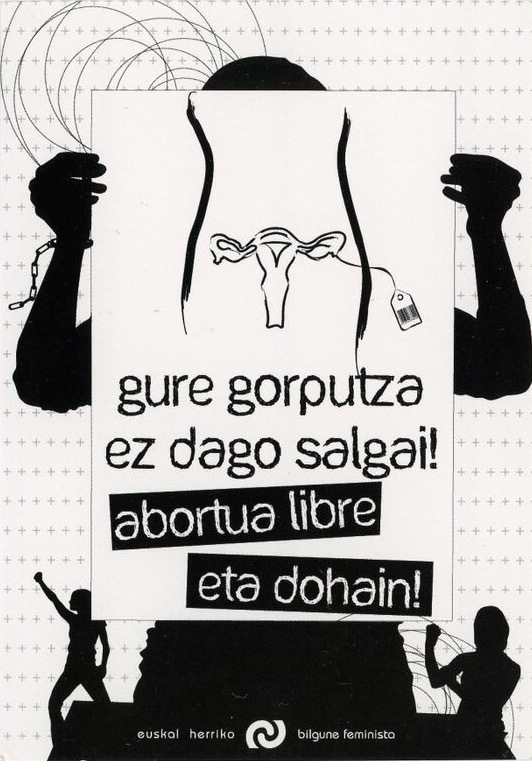 This sticker comes from a Basque group of feminists.